Australian television and film actor. Josh Helman is an Australian actor widely known for his prominent role as Junior William Stryker in series of movie X-Men. Besides this, Helman also appeared in many television series as well as mini-series. Some of them are Home and Away, The Pacific, Flesh, and Bone, etc. Furthermore, in 2016 Helman appeared in the television series Wayward Pines. Josh Helman was born on February 22, 1986, in Adelaide, Australia. Although being such a renowned actor, there is no any information about his parents and other family members. Even their name is unknown. Furthermore, his education background is also unknown yet. In 2007, Helman started his professional acting career after being recruited for the role in the show Home and Away on Australian television. In the show, he appeared as Denni Maitland. And later, Helman got an opportunity for a small role in the movie Aidan's View. In the film, he played the role of an intruder trying to enter the house of protagonist. After few years, he starred in an American television show The Pacific as a role of Cpl. Lew "Chuckler." Helman appeared in 6 episodes. In 2012, he debuted his first studio motion picture as a Jeb Oliver in Jack Reacher. Then he moved back to Australia and starred in movie Blinder which is based on the Australian rules football drama. 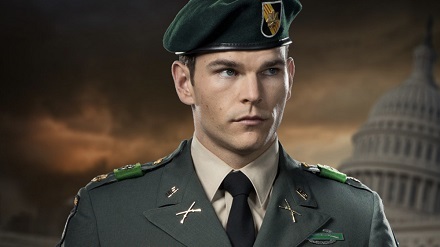 Later, in 2000, Josh Helman appeared in the film X-Men: Days of Future Past as Junior William Stryker. He co-starred along with Hugh Jackman, Patrick Stewart, Halle Berry, Stan Lee, Anna Paquin and others. Well, after starring in the following movie, Helman got worldwide recognition. Furthermore, in 2015 he acted in the movie Mad Max sequel Mad Max: Fury Road along with Nicholas Hoult. Well, in 2016, Helman appeared in the television series Wayward Pines of M. Night Shyamalan. In 2017, he starred in the movie My Name is Lenny. In concern to his personal life, Josh Helman prefers to keep his personal details out of reach the people. Till this date, there are no any records of his any relationships. Furthermore, he wasn't involved in any controversy regarding his love affair and marriage. Well, 31 years the old talented actor, Helman is focused on building up his career. He must be enjoying his single life. Hope, Josh soon finds a perfect girl for him. Josh Helman is able to feature himself as one of the renowned actors in Hollywood. Well, he earns a decent amount of money forms his acting career. His main source of income is from movies and television series. However, his current net worth is $5 million.